Vanua Levu is very much the underdog of Fijian Islands as far as tourist destinations – the Western Division and Viti Levu usually steal the spotlight. But wrongly so. Savusavu is a well guarded secret and a place that I have learned to know and love. Some of the most amazing resorts I have seen anywhere in the world are in Savusavu. Tony Robbins even takes people there for his infamous life coaching sessions. Not always convenient to reach by plane, Savusavu is very popular among yachties and cruisers as the harbor is well protected and well provided for. Most of my friends here are expats from all over the world. However, there is our ever-loyal friend and taxi driver Pate. His wife and daughters gave me a lesson in roti-making and invited us to their house for dinner on multiple occasions, providing most delicious vegetarian Indian meals. Pate could never stop joking that the goat curry would be served ‘next time’. The more memorable locals also include Aunt Reggie – the colorful queen who runs a fabulous barber shop. The Chinese family who speak no English, Fijian or Hindu and who run a popular restaurant, serving some of the best Chinese food I have ever tasted. 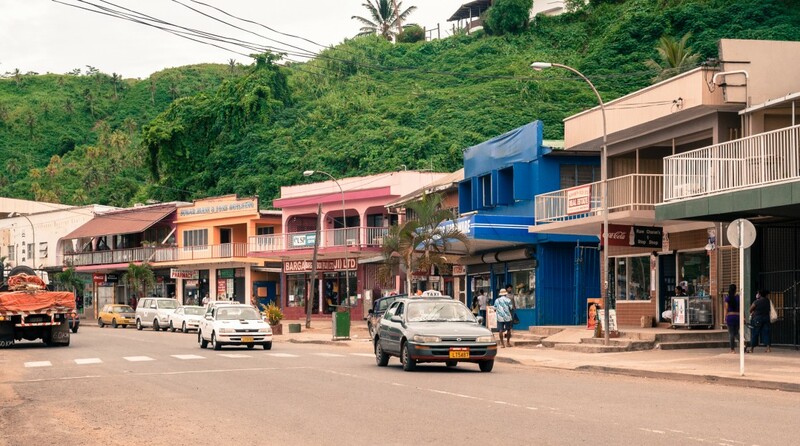 There is Sally whose shop is known amongst the locals as simply “Sally’s” and provides – to the relief of expats and yachties – a lot of expensive exotic groceries that can not be found elsewhere in Fiji. A must-see place in town would be the market: here you’ll find all the fresh produce that is currently in season, usually this includes an abundance of coconut, bananas, pawpaw and bok choi. Savusavu also has three (soon-to-be four) supermarkets. It is a bustling metropolis really! There are many restaurants and cheap eateries in town. My favorite is the afore-mentioned Chinese with mysterious but delicious menu items such as “Three Fresh Veg” and a lady who – despite her lack of English – knows what I mean when I ask for “that cucumber salad” that is no longer on the menu. Another great favorite is the Captain’s Cafe situated next to the marina. Lau archipelago is the most remote and pristine area of Fiji, situated in the South-East of the country and historically part of the Kingdom of Tonga. Vanua Balavu – the third largest island in the group – is only accessible by boat or a weekly flight. There is one resort and a few homestay style guesthouses. Lau group was only recently opened to cruisers, previously necessitating a special permission of entry from the government. We spent most of our time anchored at Nabavatu Bay, enjoying the dramatic scenery. The flora here is very different from the rest of Fiji, resembling more the thick impenetrable bush of New Zealand and making the air a few degrees cooler than on the other islands. This bay is home to the world’s smallest Royal Yacht Club, inaugurated by the King of Tonga himself. There is no permanent staff here, it is open only when the owner Tony happens to visit, or when rare passing yachts use it as a convivial meeting point. On the opposite side of the island is the Fijian Bay of Islands where azure waters are dotted with volcanic rock formations and tiny uninhabited islets. It is a marvel to behold; the monumental cliffs are breathtaking, seemingly just growing out of the depths of the sea in vertical lines. 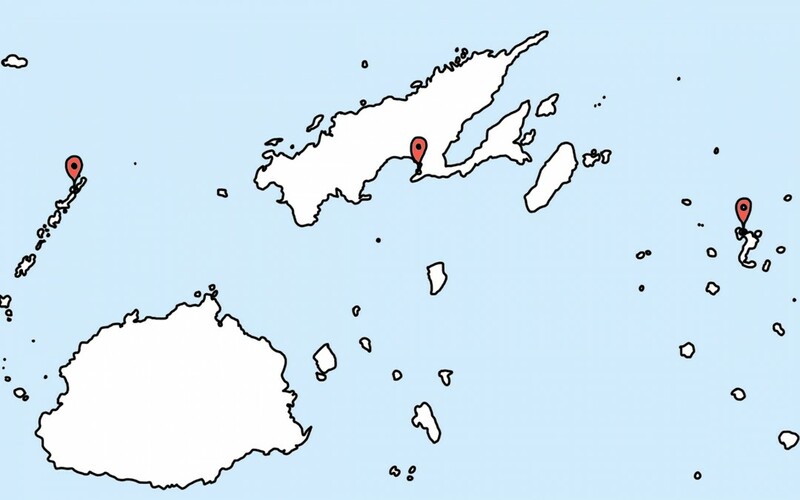 The northernmost island of the Yasawa archipelago in Fiji’s Western Division. It is so remote, even sailors rarely venture up here. Most visitors come here by plane to stay at the fancy resort. Here are some of the most beautiful and clean desert beaches I have seen in Fiji, with only a rare human footprint from local villagers or resort guests carted in by boat for a day of solitude. During one of our bush walks on Yasawa we came across a small village. We were warmly welcomed by the women and children while the men were out fishing. They told us about the “other foreigners” who had ventured there a few years back. Kids showed us the track to school: over hills scorched with drought and along a rocky shore that was impossible to navigate without getting wet even at mid tide. We brought notebooks, pencils and crayons as gifts for the children. They were so glad they even sang us some songs. One of the songs was in Hindu, taught to the kids by their Indian school teacher. In a country divided by cultural in-fighting and racism between the natives and Indo-Fijians this song was truly music to my ears.